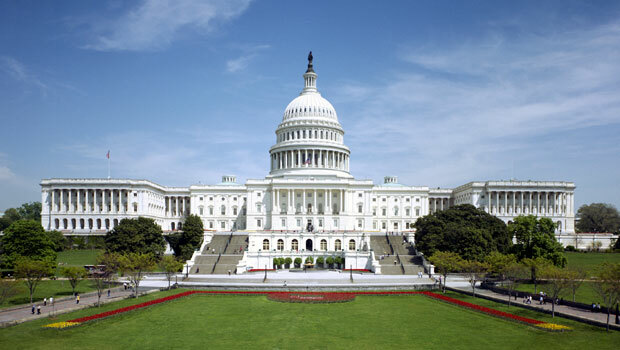 The District of Columbia is the capital of the United States and borders Maryland and Virginia. Washington, D.C. was named after the first U.S. president, George Washington, and founded in 1791. Today, D.C. is the political center of the country and the headquarters of many non-profits, NGO’s, trade unions and political organizations. The culture of this city is a unique mixture of both Northern and Southern U.S. sentiments. The District has a high population of university students, and many museums and nationally recognized landmarks. Learn more at washington.org. Also see our custom Google map of our favorite sites in Washington, D.C. The U.S. Capitol in Washington, D.C. Photo by aoc.gov. Newseum is an interactive museum about news and journalism and a popular attraction in D.C. The museum has many exhibits and covers topics like freedom of the press and freedom of speech, the September 11th attacks, Pulitzer Prize-winning photography, the Berlin Wall and the history of newspapers from the 17th century to today. The National Mall is home to many iconic Washington parks and monuments, including the Washington Monument, the Lincoln Memorial, the African American Civil War Memorial, the Vietnam Veterans Memorial and the Martin Luther King, Jr. Memorial. Many of the sites are open for 24 hours a day, 365 days a year. Many Smithsonian museums can be found on the National Mall in Washington, DC, including the National Air & Space Museum, the National Museum of American History and the National Museum of the American Indian. 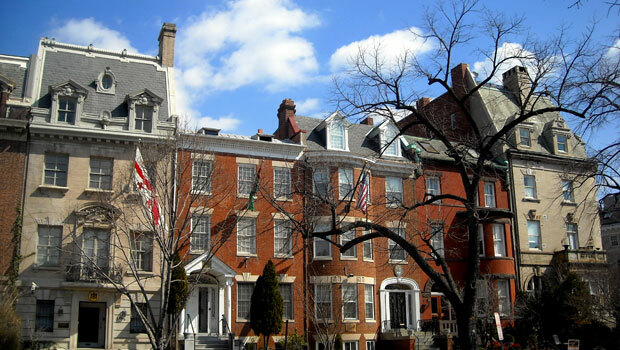 Take a walking tour of Washington, D.C. from D.C. Walkabout, including tours of the National Mall, Capitol Hill, and special Haunted History and American Scandal tours. Many of the tours are free. The White House is home to the President of the United States and a popular tourist attraction in Washington, DC Tours should be planned well in advance. Foreign citizens must make a request to tour the White House by contacting their country’s embassy in Washington, D.C. while American citizens can request a tour through their Member of Congress. Old Town Trolley Tours of Washington, D.C.
Smithsonian American Art Museum in Washington, D.C. Photo by Slowking4. 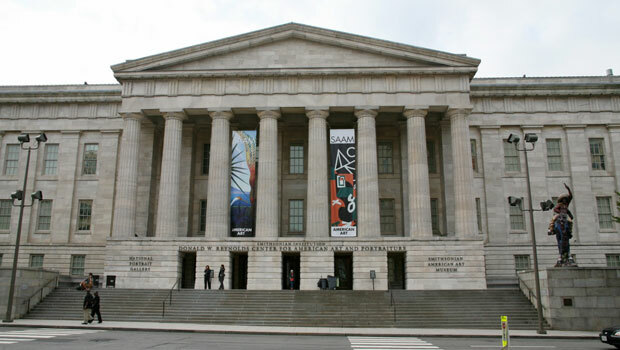 Art Museum of the Americas (AMA) displays modern and contemporary art from Latin America and the Caribbean. The museum also hosts special events, educational programs, lectures and workshops. Admission is free. Hirshhorn Museum and Sculpture Garden is one of the most visited art museums in the United States. The museum displays modern and contemporary works of art, primarily from the last 50 years, including works from Pablo Picasso, Jackson Pollock, Henri Matisse, Franz Kline and Francis Bacon. Tours and Friday Gallery Talks are available to visitors and admission is free. The National Gallery of Art in Washington, D.C. displays works of Western art from the Middle Ages to today. The museum is located on the National Mall and admission is free. There are several major league professional sports teams representing Washington, D.C. Note: The teams’ playing facilities may be located in nearby areas like Maryland or Virginia. Check the team websites for further information. StubHub for tickets and last-minute deals. The University of Maryland in Washington’s neighboring state has a vibrant sports culture and loyal student fans. Visitors can watch many sports from the UMD Terps, including popular football and basketball games. In Washington, D.C. the Georgetown Hoyas are known for their men’s basketball team but they also have many other sports teams, including football, lacrosse, soccer and rowing. The Boathouse at Fletcher’s Cove is open in spring, summer and fall. Rent kayaks, canoes, bikes or rowboats and enjoy some fun activities along the Potomac River. Fishing licenses, bait and tackle supplies can also be purchased at the Boathouse. The Chesapeake & Ohio Canal is a National Historical Park in Washington, D.C., Maryland and West Virginia. Visitors can go running, biking, horseback riding, camping, picnicking, kayaking, canoeing, snowshoeing and cross-country skiing along the canal or take historical boat tours of the 185-mile canal. Try ice skating at the National Gallery of Art Sculpture Garden Ice Rink and see outdoor sculptures while you skate. The largest outdoor ice skating rink in D.C. is at Washington Harbor in Georgetown. A third outdoor ice rink is open 7 days week at Canal Park. Check each rink’s website for prices, opening hours and rental information. The National Zoo is a popular outdoor attraction in the District of Columbia and one of the oldest zoos in the United States. Visitors can see almost 2,000 animals at the zoo, which is open 364 days a year (it is closed on Christmas Day). As part of the Smithsonian, the zoo is also free! Rock Creek Park is a popular area for walking, running and biking. An art gallery, nature center, tennis courts, golf course, boating center and picnic areas are also located at the park. It’s hard to say if Washington, D.C. has it’s own specific cuisine, but visitors will find many types of food in the city – from ethnic restaurants to food trucks to five-star restaurants. Check out the Eater DC website for local deals and discounts at bars and restaurants, dining suggestions and other information on eating in Washington, D.C.
FRESHFARM Markets are a group of 11 markets in Maryland, Washington, D.C. and Virginia. Eater DC also has a list of farmers’ markets in Washington, DC. Cherry Blossoms along the Tidal Basin in Washington, D.C. Photo by Carol M. Highsmith. The annual National Cherry Blossom Festival is a celebration of spring and the beautiful cherry blossom trees that line the streets of Washington, D.C. Originally given as a gift from Japan to the city, the cherry blossoms are now a symbol of spring and the relationship between Japan and the United States. 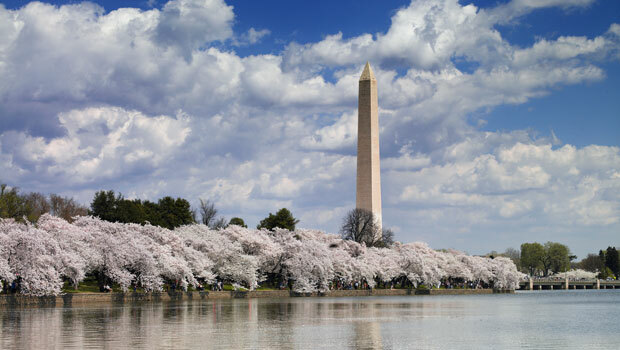 In addition to viewing the trees around Washington, D.C., visitors can also enjoy many activities like tours, art shows, concerts, cultural events and festivals. The Washington, D.C. International Filmfest shows movies from around the world. Special events, movie premieres and free programs are held throughout the event, which runs for 10 days in April. DC Jazz Fest hosts over 100 jazz performances in multiple clubs and venues throughout Washington, D.C. in June. Source Festival showcases new theatrical performances in Washington, D.C. Ten short plays, three full-length plays and performance artists are presented to the public for the first time during a 3-week period in June. SW ArtsFest is a free arts and cultural festival at the Southwest Waterfront in Washington, D.C. in September. The event includes an art marketplace, theater performances, neighborhood walking tours, a farmers’ market, opera performances, films and other cultural activities. Browse a list of more summer festivals in Washington, D.C.
Embassy Row in Washington, D.C. Photo by APK. 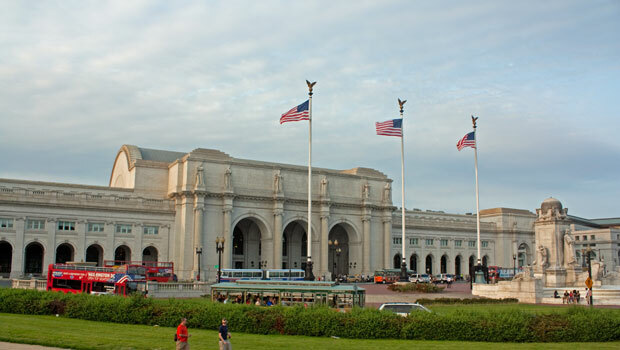 Union Station in Washington, D.C. Photo by Wknight94. The Washington Metro is a rapid transit system in Washington, DC and its suburbs. Metro uses both rail and buses to transport passengers throughout the D.C. area. Many Amtrak trains travel to Washington, D.C. and many other major cities, including New York, Boston, Philadelphia, Chicago and Miami. Weather – Baltimore and Washington, D.C.
VolunteerMatch, Idealist and Serve.gov are three general volunteer websites that match local organizations with volunteers in their communities. Capital Area Food Bank needs volunteers for many types of opportunities. Individuals and groups can donate their time to help with special events, packing and organizing food and many other tasks. HandsOn Greater DC Cares connects volunteers in the D.C. area with organizations that need help for short-term and one-time projects and long-term opportunities. One Brick Washington, D.C. shares volunteering opportunities in the Washington, D.C. area and also sets up casual social events to help individuals get to know one another after volunteering. One Brick offers volunteer events that last only a few hours a week as well as providing regular, on-going volunteer opportunities.